Ashton Wyatt stepped through the front door of the Ramblin’ Rose Tavern and flipped on the lights, grimacing at the sticky cobwebs covering her fingers. She wiped them on her jeans as she stared at what used to be West Loon Bay’s most popular honky-tonk. In its heyday, locals and tourists had crammed into the town’s oldest saloon every night. Now, the place echoed an eerie silence, with no trace of its former glory in the plastic cups, empty beer bottles and discarded pull-tab tickets littering the grimy, carpeted floor. Faded posters and old neon beer signs hung askew on smoky, windowless walls. Battered, mismatched chairs and tables were scattered aimlessly about the room. Rose’s only child, Alexander Lang, had left town years ago with little cash and a scandal brewing, but had recently returned, now a world-famous rock star. He had more than enough money for himself and his mother. Since high school, Ashton had struggled with her relationship with her parents. During her teenage years, she’d run with a bad crowd and frequently got into trouble, making things difficult for her father, an officer in the West Loon Bay Police Department. In the ten years since she’d graduated, Bob Wyatt had worked his way up to Chief of Police of Bergamot County. Ashton had moved one hundred-fifty miles away, determined to leave the fishbowl atmosphere of small-town life—and her strained relationship with her parents—behind. She still visited them, but only on major holidays and she never stayed overnight. In the last few years, however, a sense of loneliness and restlessness had begun to shroud her heart, fueling her desire to grow closer to them. Sadly, the gap between her and her parents had become so wide she didn’t know how to bridge it. Ashton and Grace spun around to find their cousin, Allyson Cramer, standing in the doorway. Allyson’s straight blonde hair glistened in the golden October sunshine, streaming across the floor. Her snug-fitting aqua Capri pants and matching print blouse showed off her slim curves. She’d lost weight since last Christmas when Ashton saw her at a family celebration. “I can understand that,” Ashton said, remembering the humiliation she’d experienced back in her senior year of high school. Malicious and hurtful gossip had spread about her after her boyfriend, Cole Jacobson, had cheated on her with her best friend on prom night. She’d moved away that summer to go to college and never looked back. Except that lately she had been looking back and wondering if she’d done the right thing. At the time, running away from all of her problems had seemed like the easiest thing to do. Looking at it now, she realized she’d simply created new ones. “Then we’re going to sit down and talk this over!” Grace pulled out two chairs and motioned for both girls to occupy them. Allyson pulled a couple tissues from her purse and began to wipe the wooden tabletop as Grace dusted off the seats of the chairs. Ashton placed her hand on top of Grace’s, followed by Allyson’s hand on top of hers. “Agreed!” they chanted in unison. Ashton had no idea what to do next as they pulled their hands away and stared at each other in silence. Then they all started talking at once. “Remodel the bathrooms. They’re probably...” Allyson made a face and shuddered. They all burst out laughing. Now that they had formed a team, ideas began to flow fast and furious. Grace pulled a pen and a notebook from her purse to jot it all down and by the time she finished, they had a “To Do” list of remodeling ideas four pages long. Everyone went silent again, absorbing the monumental task they were about to tackle. If I don’t, will I spend the rest of my life regretting that I passed up the chance to do something risky and exciting? She looked at Grace for inspiration. Grace smiled back, seemingly unconcerned about the consequences of failure and embarrassment for themselves and their parents if their business went belly-up. She stared at Allyson, hoping her cousin would give her some assurance that they were making the right decision. Allyson’s cool blue eyes didn’t show any emotion, but the rigidity in her spine and her silence implied that she, too, had doubts about turning this broken-down relic into the thriving business it used to be. The thought of trying to successfully “fill Aunt Rose’s shoes” twisted her stomach into knots. “All of us,” Allyson replied, though the uncharacteristic monotone in her answer made her sound uncertain. Grace stared at Ashton, waiting for her answer. I can’t believe I’m actually going through with this. What am I getting myself into? Sawyer Daniels looked up from framing a small storage barn in the lot behind his workshop to see Allyson Cramer sauntering toward him. For someone who didn’t have two nickels to rub together, Allyson sure didn’t show it. Her black satin slacks and silky white top looked new and very expensive. So did that fancy designer handbag with the initials LV printed all over it. He wondered if she’d given herself a last-minute bonus before throwing in the towel or if she’d maxed out one of her credit cards. He had a feeling she possessed a lot of maxed-out cards. Lucy, his five-year-old black Labrador mix, ran toward Allyson, wagging her tail. Lucy obeyed, looking confused as she whined and thumped her tail. Sawyer twisted off the cap of his bottle. “But...” he retorted, purposely making it sound more like a statement than a question. He lifted the container to his lips and took a swig, never taking his gaze off her as he waited for her to fill in the rest of the sentence. “You’ve got nerve, you know that? I told you—” He barely got the words out before he began to choke on his water. Lucy trotted over to Sawyer’s chair and sat next to him, resting her chin on his knee. Renovating that old structure seemed like a waste of time, but he unfolded the paper and scanned the list anyway. He’d grown up in West Loon Bay but rarely went back there, even though he lived only ten miles south in Summerville. In his misspent youth, he’d done his share of partying at The Ramblin’ Rose and giving the local cops a hard time, but when he left town, he’d also abandoned his old life—and his drinking buddies. Instead, he’d adopted a homeless dog, started a business and bought a house in an effort to make some sense out of his life. Working at The Ramblin’ Rose increased his chances of running into some of his former crowd. He had no interest in renewing old acquaintances, especially Cole Jacobson, the best friend-turned-traitor who’d stolen his girlfriend right from under his nose—on prom night no less. It hadn’t taken him long to get over Brenda Miller, but even after all these years, he still lived with the temptation to punch out Cole’s lights for double-crossing him. Let it go... You’re not that person anymore. What happened turned out to be a blessing in disguise. “I’ve got orders for storage barns and a custom fish house to finish. I’m busy until Thanksgiving,” he said, hoping she’d be in a hurry and decide to hire someone else. Even though he had no doubt she’d deliberately manufactured the waterworks for his benefit, it still made him uncomfortable. He had a soft spot for Allyson, and knew he always would. Bringing up their friendship, and how her interior design company had given him jobs when he first went into business for himself, seared his conscience. He couldn’t say no. Smiling, she grabbed her handbag and sprung from her chair, all traces of her former tears gone. “I’m going to see Aunt Rose right now and tell her I’ve hired you. I think it would be a good idea if she attended the meeting as well.” She kissed him on the cheek. “You’re the greatest, Sawyer. Gotta go. Tons of things to do!” She left him wiping her peach lipstick from the rough surface of his jaw with the back of his hand. “I’ll call you!” she yelled over her shoulder as she hurried to her car, her long blonde hair billowing behind her. How she could run in those ridiculous shoes was anybody’s guess. Sawyer watched Allyson drive away, wondering if he’d ever meet the right girl for him. He knew all of the women in the area. He’d attended school with most of them and dated many, but no one had ever captured his heart; no one had ever given him the emotional rush he’d experienced with Brenda Miller. Had he missed his chance for happiness, or had being in love with her simply given him a taste of the real thing? He truly hoped someday he’d find out. 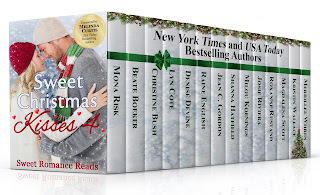 This is the first chapter of a story set in Sweet Romance Read's newest boxed set Sweet Christmas Kisses 4, on sale September 26th. Pre-order now for only 99 cents! Denise Devine is a USA TODAY bestselling author of sweet contemporary romance who has had a passion for books since the second grade when she discovered Little House on the Prairie by Laura Ingalls Wilder. She wrote her first book, a mystery, at age thirteen and has been writing ever since. 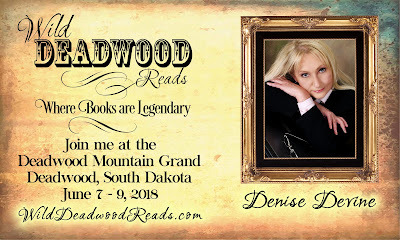 If you’d like to know more about her, you can visit her website at www.deniseannettedevine.com. Wow, Denise! Thanks so much for posting your fabulous first chapter. 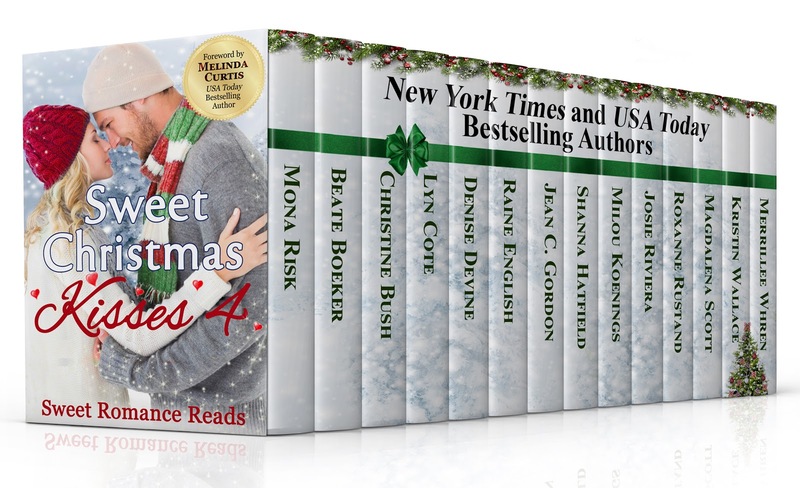 So excited to be a part of this boxed set! Thanks for sharing your first chapter. Makes me want to read the rest. Really excited for this box set to release! My cover was designed by Raine. She always does a super job! Which Romantic Male Lead Do You Prefer?